THE croc that gave a fisherman the fright of his life by lunging from a suburban Cairns drain has been caught. 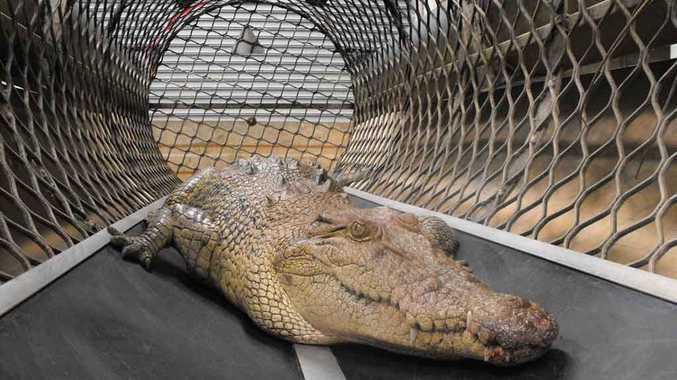 The 2.4-metre reptile was captured in a floating trap in the Fearnley Street drain in the inner Cairns suburb of Parramatta Park on Tuesday. 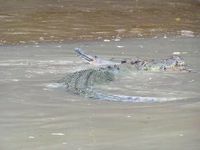 Rangers from the Department of Environment and Resource Management set the trap last Friday after fisherman Joel Pezzutti reported the croc had grabbed his bait net. 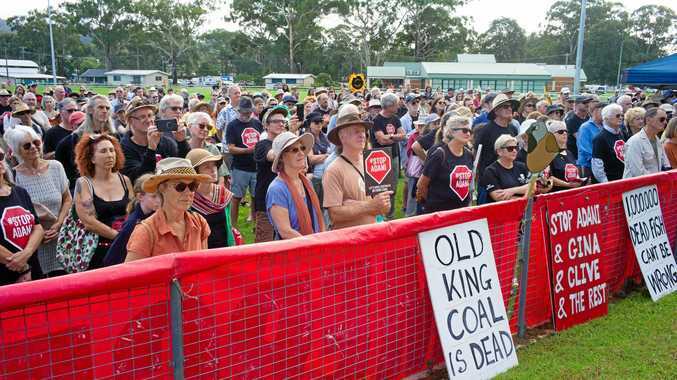 "As I was pulling my cast net in, a croc lunged out of the water, ran up the bank and latched onto my cast net," Mr Pezzutti told AAP last week. 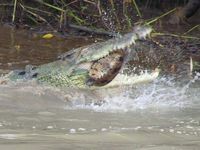 Acting Climate Change and Sustainability Minister Annastacia Palaszczuk said the croc had to be removed because of its location and behaviour. It will be moved to a zoo or farm, she said. 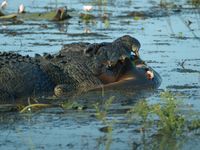 "As public safety is paramount, crocodiles targeted for removal are not returned to the wild," she said. 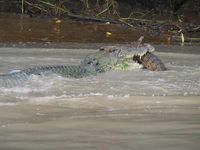 Last week pictures surfaced of a crocodile eating a bull shark, which was soon followed by pictures of a 4m-long saltwater crocodile eating a 2m-long freshwater crocodile near Darwin.